#58: Emerging from the Inner Storm – Presentation by Paul McQuillan, Ph.D., Psy.D. Presentation by Paul McQuillan, Ph.D., Psy.D. On behalf of LogoTalk Radio, I want to extend my personal thanks to Storm, the pseudonym of the woman whose story you are about to hear, for giving LogoTalk Radio permission to use the following material. I also want to thank Dr. Paul McQuillan for making this material available. In the podcast that follows, you will hear Dr. McQuillan’s presentation given to the Nineteenth World Congress on Viktor Frankl’s Logotherapy on June 22, 2013 in Dallas, Texas. Dr. McQuillan presents the story of Storm, a woman who has emerged from the trauma of domestic violence with the help of logotherapy. The story is told with Storm’s own voice, through slides and recordings. The slide deck with the attendant audio can be viewed at youtube.com/LogoTalk. Dr. McQuillan is a member of the International Seminar on Religious Education and Values. The seminar meets bi-annually and is restricted to members and invited guests. He is Chair of the Education Program Accreditation Committee of the Psychotherapists and Counsellors Federation of Australia. The role of the committee is to accredit training in psychotherapy and counseling provided by Universities and other training organizations. He sits on the Editorial Board of "Panorama: Intercultural Annual of Interdisciplinary Ethical and Religious Studies for Responsible Research" and the Editorial Board of "The Journal of Youth Ministry." His research interests include religious experience and the spirituality of youth as well as meaning centered therapy and the logotherapy of Viktor Frankl. His previous career has centered on education and educational leadership. He has been the principal of high schools in three states, assistant director for resources and planning for Northern Territory Catholic Education, and, for 12 years, Director, Administrative Services, for Brisbane Catholic Education. Dr. McQuillan is the author of numerous journal articles, book chapters and books on the topic of spirituality and belief systems of young people. 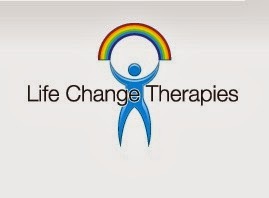 For more information about the work Dr. McQuillan is doing in Australia, and for more information on his coursework, please visit Life Change Therapies. Dr. McQuillan can be reached at paul@lifechange.net.au.